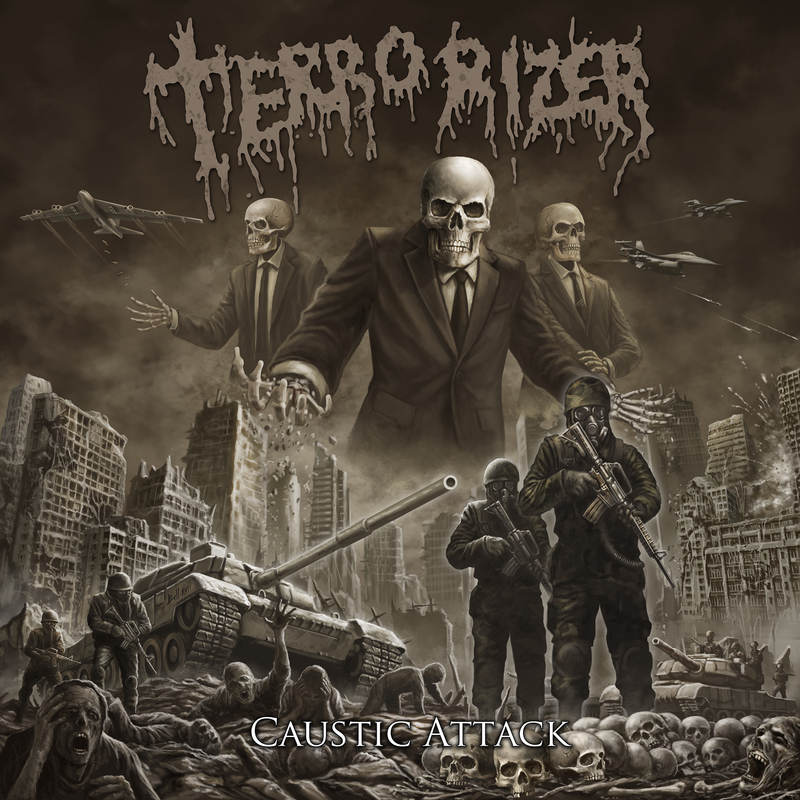 Metal Injection is currently streaming Caustic Attack, the imminent new full-length from long-running American grindcore unit TERRORIZER, in its inexorable entirety. Slated to drop worldwide via The End Records October 12th, the band’s first studio offering in six years was produced by Jason Suecof (Deicide, All That Remains, Kataklysm, Battlecross) at Audiohammer Studios in Sanford, Florida and features the apocalyptic cover art of Timbul Cahyono (Rotting Corpse, Pyrexia). Caustic Attack will see release on CD, LP, and digital formats. Preorder your copy today at THIS LOCATION. TERRORIZER will play Mass Destruction Metal Fest 2, headlining the second day of the event on Saturday, November 3rd with additional live invasions to be announced in the weeks to come. Sandoval has long been known as one of the fastest players in death metal — the pioneer of blastbeats — and he doesn’t hold back on Caustic Attack. At the same time, even the fastest songs are tighter and more precise than TERRORIZER have ever been thanks to veteran producer Jason Suecof, who’s painstaking method of recording showcases Sandoval and his team at peak capacity. The proof is in the pummeling. There are flesh-shredding grindfests like “Turbulence,” “Caustic Attack,” and “Poison Gas Tsunami,” each of which swoops down, destroys, and depart in under-two-minutes. Then, there are the nearly five-minute-long tracks, including “Infiltration” — which slows to a thunderous breakdown before ramping back up to hyper-speed – and “Wasteland,” a global conflagration with undeniable guitar hooks and a lethal mid-song chug that reveals previously unexplored diversity and depth.